What do We REALLY Mean by Follow-up? A Job Search Strategy - - “What do I do?” . . . Most job seekers know, or discover shortly into their job search, that you need to follow-up. For instance, if you mail a resume to a target employer, you follow-up. Or, if you meet with a network contact, you follow-up. Follow-up is an integral and essential part of job searching. So, what’s the problem? When you conduct a job search activity, you follow it up. Obvious, right? Well, maybe not. While it is obvious to many, if not most, that some type of activity is warranted following any type of job search action a job seeker takes, the process of how you follow-up may not be obvious, as evidenced by the example below. I recently heard from a job seeker, we’ll call Stan, who said that he is actively pursuing his goal to find a new position. But, after months of submitting applications and resumes to hiring organizations, while he has received a few non-substantial responses, he has not received any credible responses. “What am I doing wrong?” he asked. “Are you following up?” I asked. “Yes, I always follow-up,” Stan said. “Hmmm,” I said, “Following up should be generating better results than you’re getting. Why don’t you tell me what you’re doing to follow-up?” I said. And therein lay the problem! Stan did follow-up . . . just not correctly. Stan explained that he always followed up.
! He’d send an e-mail following each application he submitted or resume he sent. One!
! He knew to send a thank you note after he had a meeting (few and far between as they were) with someone in his network. One! In other words, Stan followed up . . . .ONCE. Stan is not alone. Too many candidates for jobs think that having sent an inquiry about the status of their submission or a thank you following a networking meeting or even an interview, their job is done. But, that is just the beginning. Most often effective follow-up requires many, many follow-ups to make the sale, or in the case of job seeking, get the job offer! follow-up >noun 1 an activity carried out to monitor or further develop earlier work. 2 a work that follows or builds on an earlier work. 3. Moves the action forward. This is what we deem “meaningful” follow-up. If you’ve been reading my articles, you know too that job seeking follows a sales process. When you are looking for a job, you are selling (offering) your capabilities to a prospective customer (employer) for a fee (salary). And, as is inherent in the sales process, it takes following-up in a manner that moves the action, i.e, sales process, forward.
! Encourages the recipient of your follow-up to take a step forward on your behalf. That is it in a nutshell. But, as with many things, easier said than done. So, to clarify, it might be helpful to initially identify some examples of what is NOT meaningful follow-up. Meaningful Follow-up is NOT. . .
To be taken seriously, provide positioning information as just described in the preceding bullet point, including identifying the type of position you are seeking.
! One. . count ‘em one! . . . e-mail following a meeting with a network contact to thank them for meeting with you. It is your responsibility to stay in touch with your contact (not the other way ‘round), apprising them of your status and, importantly, being helpful to them if you spot an opportunity to do so. Do your research, identify a name of a company employee or recruiter, and send your e-mail to that person. Just by using a name, you up the odds that your e-mail will be read.
! Repeatedlycontacting one recruiter, hiring manager, HR rep, week after week, or even multiples times a week – asking if they have any openings yet, have they made a decision yet, or when can you interview. 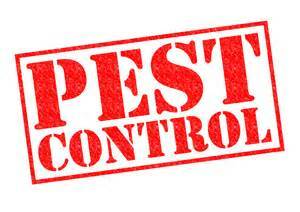 Too many contacts into an organization is called being a pest! Meaningful follow-up is never only one follow-up action in pursuit of a job you want to do, a network contact with whom you want to develop a relationship, or a company you want to work for. Remember the definition: Effective follow-up monitors the process and builds upon the action already taken or work already done. Meaningful follow-up IS . . .
1. Monitors the process and progress of your job search by keeping you up-to-date with what your network and target employers are doing, and visa-versa keeping them up to date about what you’re doing. 3. Moves the action forward. Here are some characteristics of meaningful or effective follow-up.
! Meaningful follow-up is not a one-time follow-up. This is probably the biggest misunderstanding job seekers have about how to follow-up. For follow-up to be effective, it has to occur on a recurring basis, . . .with the end goal of always moving the action forward.
! Meaningful follow-up takes time.
! Meaningful follow-up is courteous, considerate, and thoughtful. “Please . . .,” “thank you. . . .,” and consideration of the recipient’s time and schedule are integral to following up well. · If placing a call, check in first to ascertain if the recipient of your call “has a few minutes to talk” or “if this is a good time to talk.” Ask this right at the beginning of the call after you have introduced yourself. · Check spelling and spell both their name and the name of their firm or organization correctly.
! Meaningful follow-up is helpful. Using your follow-up to supply additional relevantinformation is helpful and adds to the recipient’s knowledge of you and your capabilities. And the added bonus . . .It keeps you visible. Take the position or develop the mindset that you are helping make the job of the recruiter, decision maker, hiring team, network contact easier. 1. This could entail supplying some additional information about you that could make the decision more obvious. 2. Or it could be by restating/summarizing your case or argument for why you are a great candidate for the job and fit for the organization. It could include rephrasing how you can help their organization grow, achieve a certification, win an award, or solve problems.
! Meaningful follow-up builds a/the relationship. When all is said is done . . . People hire people. It’s a fact that job seekers forget as they get caught up in the technology of job search. Sending in applications on line, following the job search engines, using on-line tools to identify key words and resume formats is certainly a part of the process. But in the end, the hiring decision will be made by a team of people. Building good relationships with your network, target employers, recruiters, and professional associations is critical to finding a job you want to do and getting hired to do it! And that’s the truth!
! Meaningful follow-up moves the action forward. · Mentioning that you will be in their area and would like to meet, . . . .etc. If you notice, KEY to this process is staying in touch with your network and target employers with new information; it is NOT effective to keep sending the same old message/e-mail repeatedly. Meaningful follow-up as we’ve defined it in this article is powerful. It helps you remain visible as you continue to develop and then build your case with your network and target employers as to why hiring you would be a good decision and would make sense. As I’ve said before, there is no magic pill to take to get hired. No shortcuts that are really effective. However, effectively following up can be the shortest route to achieving your career goal!